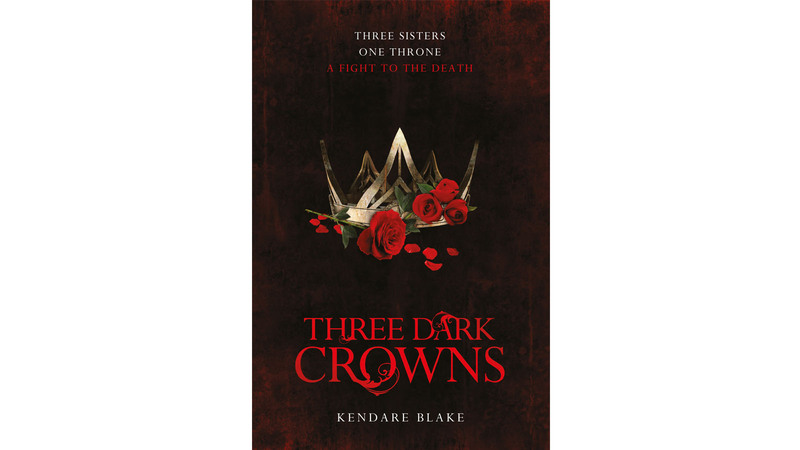 Author Kendare Blake shares the inspiration behind Three Dark Crowns and tells us exactly how she came up with the idea for this enthralling and addictive story. Three Dark Crowns is set in a world where three dark queens are pitted against one another for the ultimate battle - for the throne, and for their lives. Author Kendare Blake shares the inspiration behind her book and tells us exactly how she came up with the idea for this enthralling and addictive story. Let it be known: I’m afraid of bees. Like, not really bees themselves. They’re cute with their black and yellow butts and happy buzzing and always being in flowers and whatnot. I’m actually afraid of being allergic to them. I blame Stephen King for this (I blame many, many of my fears and neuroses on Stephen, so many that he and I are clearly on a first-name basis) because ever since I read his O. Henry Award-winning short story “The Man in the Black Suit,” from the excellent Everything’s Eventual collection, I’ve become convinced that I have a rare, and undiagnosed severe bee allergy. Like, the kind that makes your neck instantly swell up and turn black as a car tire and then you die choking and whoever finds you can’t tell who you are because your face is swollen beyond recognition. Also, when I was a kid I was stung by a dead sweat bee, just barely, as in I ran into its stinger when it was floating in a swimming pool, and then I got chicken pox, so of course my crazy brain now tells me that I never had chicken pox, but actually a horrible reaction to my undiagnosed bee allergy. Thanks so much, Stephen King. By now you’re probably wondering what the ever-loving Pete this has to do with Three Dark Crowns. Well, Three Dark Crowns owes its existence to bees. A swarm of them. A bee ball in a tree. I was at a book event in Oregon, a really cool one with a hot dog truck out back and local musician kids rocking on the guitar in the parking lot and some dancers and whatnot. But up in a nearby tree, was a literal ball of bees, and everyone was afraid of being stung. As luck would have it, there was a beekeeper on hand, and she told us to stay calm, because the bees were swarming around their queen as they sought out a new hive, and would not stray from the ball unless provoked. So all was fine. I was fascinated by this ball of bees with the queen in the middle. Why did they do this? I asked. Was she in hiding? Fleeing from some terrible enemy? Damaging hive gossip? What happened to her old hive? The beekeeper told me that queen bees leave their hives for lots of reasons: hive growth, nearing death, etc. But before she left, she would have laid her queen eggs. Four or five of them, which would then hatch out and one would kill the others and take over. For the whole drive home I couldn’t stop thinking about that. These poor bee-daughters. The brutality they were born into, straight out of their cups. And of course I really, really wanted to do that to people. So slowly, that desire combined with other bits of ideas that I wanted to work with, like witches, and a society run by women, and something that centered on sisterhood and female friendships, and animal companions, and poisons! And ultimately, that’s how Three Dark Crowns came to be. I think about those little bees often, who did me such a huge favor on their way to their new home, and I really hope they found a great one. Like, a bee mansion. The royal palace of bees. But I also hope I never meet them in person, because like I said I might be allergic. See the full Three Dark Crowns series here. In every generation on the island of Fennbirn, a set of triplets is born: three queens, all equal heirs to the crown and each possessor of a coveted magic: Mirabella is a fierce elemental, Katherine a poisoner and Arsinoe a naturalist. But becoming the Queen Crowned isn’t solely a matter of royal birth. Each sister has to fight for it. And it’s not just a game of win or lose . . . it’s life or death. The night the sisters turn sixteen, the battle begins.